NewBold Technologies involvement with the retailer comes full circle with our post-installation support. 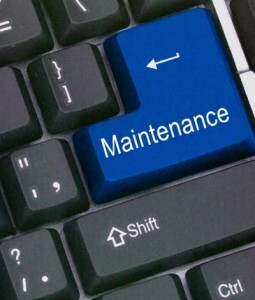 Designed to extend the life of IT investments, these services encompass a variety of maintenance programs that include on site and depot offerings. We’re here for you when you need it the most. In the worst of situations – when your store is down and inoperable – we offer disaster recovery programs including customized systems ready to ship to the store. Having an accurate assessment of all systems and peripherals is invaluable for future systems upgrades, capital budgeting and depreciation audits. We can warehouse and manage your inventory of store equipment and, provide timely reports. NewBold Technologies can support new store openings, retrofits and a variety of customized maintenance programs. We provide problem determination and can act as a proxy if issues need to be escalated to the customer’s Help Desk or the hardware and/or software provider. Our first-hand experience with store environments helps us track, escalate and solve problems quickly at any location. With a support team trained to adapt to changing systems and processes, your business can grow without the constraints of underperforming, outmoded technology.